Best Rates on Insurance Center for California on Affordable, Low Cost, Cheap Renters Insurance. Save money on insurance. Serving the Sacramento, Folsom, Chico, Folsom Ranch, Russell Ranch, Redding, San Francisco, Oakland, San Jose, Long Beach, Fresno, Los Angeles, Santa Ana, Santa Barbara, Anaheim, and San Diego regions. 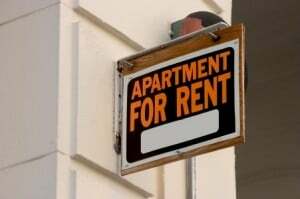 Are you paying too much for Renters Insurance? Click here to find out. We provide affordable, low cost, cheap renters insurance while still saving our clients money. Renters insurance is insurance you buy if you are renting a property from someone else. It primarily covers your personal belongings since you’re not responsible for the building. A renters insurance policy provides protection for your personal property, such as furniture or electronic equipment, in case of perils like fire, theft, or wind damage. If someone breaks into your residence or the apartment above you has a fire, and the water used to extinguish it floods your apartment, your landlord’s policy likely won’t pay to replace any of your personal property. That’s up to you. You have a lot of money invested in your personal property and it’s worth protecting. As a renter, you could experience a loss due to something you have no control over. Keep in mind your need for liability insurance Your Renter’s Insurance Policy will also include liability protection. Which covers damages as a result of an unintentional bodily injury or property damage to another person. Renter’s Insurance may also pay for legal defense in these circumstances. For instance, a vistor gets hurt. They could sue you. Fighting that suit could be an expensive nightmare. A Renters Policy will protect your personal property the same way it would if you owned a home. Consider Purchasing Flood Insurance or Earthquake Insurance Since a Renters Insurance Policy doesn’t cover floods or earthquakes. To see just how affordable all these valuable coverages can be. Insurance Center for Sacramento and the Northern California region including Folsom, Elk Grove, Rancho Cordova, Carmichael, Antelope, North Highlands, Folsom Ranch, Russell Ranch, Gold River, Fair Oaks, Woodland, Natomas, Sacramento, Anatolia, Kavala Ranch, Rocklin, Roseville, Lincoln, Loomis, Granite Bay, Galt, Natomas, Chico, Bakersfield, Davis, West Sacramento, Citrus Heights, Orangevale, El Dorado Hills, Stockton, Modesto, Lodi, Merced, Los Angeles, San Diego, San Francisco, Long Beach, Fresno, Oakland, Santa Ana, Anaheim, Tracy, Antioch, Dixon, Woodland, Fairfield, Vacaville, Vallejo, Marysville, Yuba City, Linda, Plumas Lake, San Jose, Campbell, Placer County, Sacramento County, El Dorado County, Yolo County, San Joaquin County, Sutter County, Northern California, Central California, and Placer County, and other cities and counties within California.